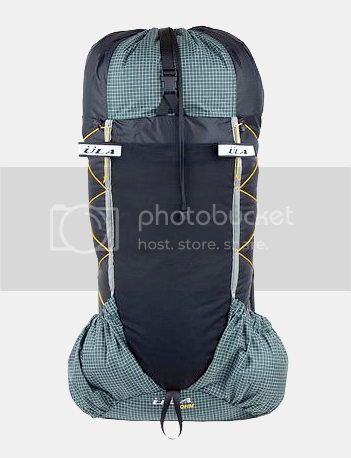 Inspired by James from backpackingbongos and the need to get a lighter backpack, I ordered last Friday an ULA Ohm. I was looking already for a while for a new backpack, and in nearer consideration, besides the Ohm, were the Osprey Exos 46 and 58, the Gossamer Gear Mariposa and the Blast 32 from ZPacks. While the Blast 32 would have been the lightest Option, weighing only 260 g with all the extras, I didn't want to wait till December - Joe, the owner of ZPacks, is out hiking and so the Shop is closed. I like the looks and functionality of the Mariposa, but somehow I didn't click with it. I tried on both Exos models, and found them comfortable, but they're heavy, expensive and mainstream.